Disclosure: NCircle Entertainment gave me a copy of the DVDs free of charge and is supplying the ones for the giveaway free of charge. All opinions in my review are my own and I did not receive any other compensation. As always I am providing links to the DVD on Amazon for your convenience. You can also find their DVDs at local retailers! For spring, NCircle Entertainment invited me to review four DVDs with science themes and offer new copies of the DVDs to one lucky winner!! All four are popular shows!! These are a fun way to bring science into your home either as a homeschooler or just to reinforce the school lessons! All four DVDs have been or are being released in 2015! Hazel's favorite of the four shows is The Octonauts. This DVD is being released on May 19th! 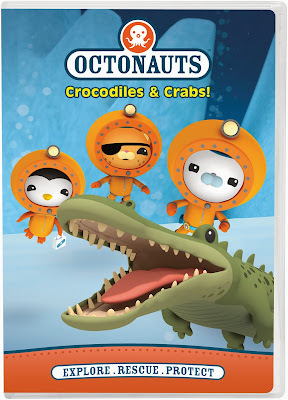 Octonauts: Crocodiles and Crabs! has eight Octonauts episodes having to do with crabs and crocodiles. It includes some episodes that Hazel had not seen in awhile and she really enjoyed watching it. I always love watching the Octonauts with her since I learn about the sea life as well. If you follow Crafty Moms Share you know we LOVE Octonauts and have shared a lot about them already. We even have an Octonaut Pinterest Board. 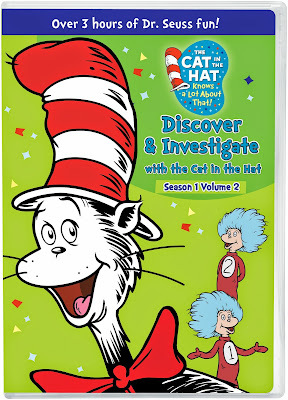 Next is a double disc Cat in the Hat: Discover & Investigate with the Cat in the Hat Season 1 Volume 2. There are twenty stories on these DVDs. As with all the episodes of the Cat in the Hat, there are lessons in each story. Kids learn about wind power, bamboo, cow's milk and so much more!! These stories are fun and perfect for Hazel. 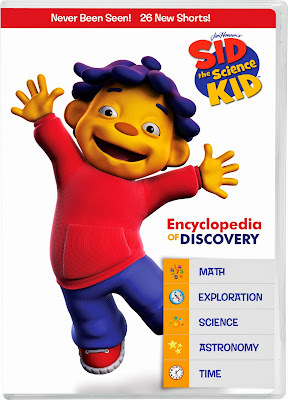 The third DVD is Sid the Science Kid: Encyclopedia of Discovery. 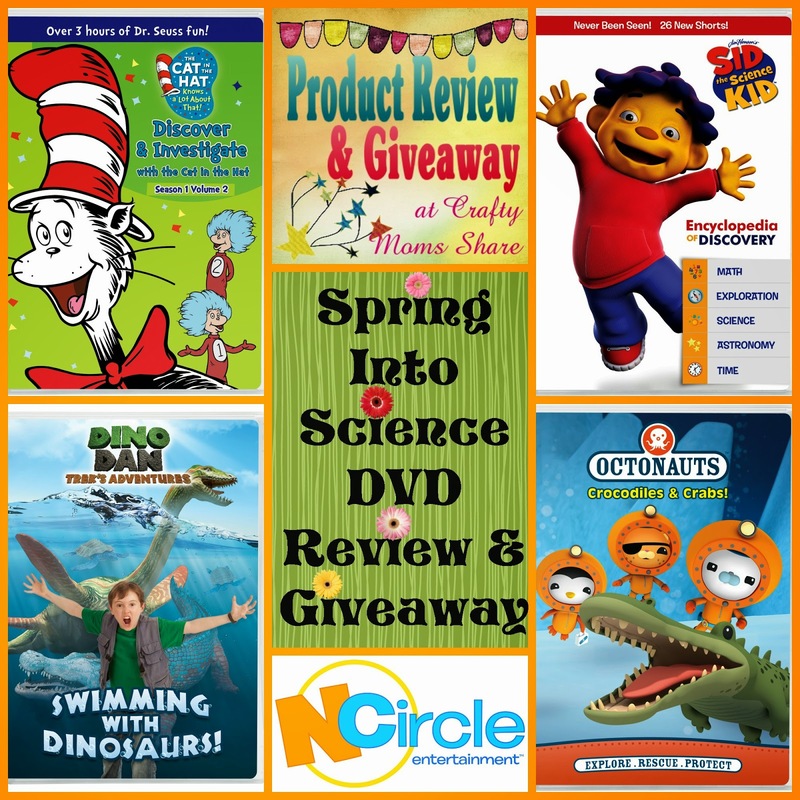 This DVD has short takes of Sid the Science Kid and include lessons on telling time, cycle of water, primary and secondary colors and more. It has a run time of 110 minutes. Hazel got excited for some of the lessons, however Sid does not usually hold her attention for long. The quick takes worked pretty well for her. It is another fun way to teach curiosity and exploration. 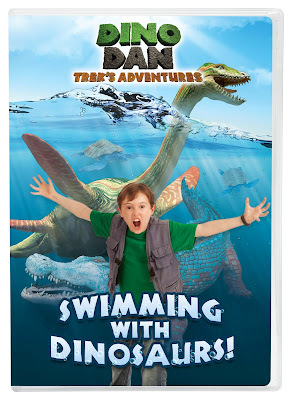 The final DVD is Dino Dan: Swimming with Dinosaurs! Now I will admit I was not too sure Hazel would like this one, but I was wrong. She kept telling me how she found it interesting. We are not very into dinosaurs so most of the information was new to her. She really enjoyed it. This DVD has eight stories on it. Dino Dan's name is Trek and he sees dinosaurs. He is the only one who can see them. His grandmother and mother seem to just accept this fact or at least go along with it. However he discovers things about the various dinosaur and prehistoric reptiles by watching them and helping them. 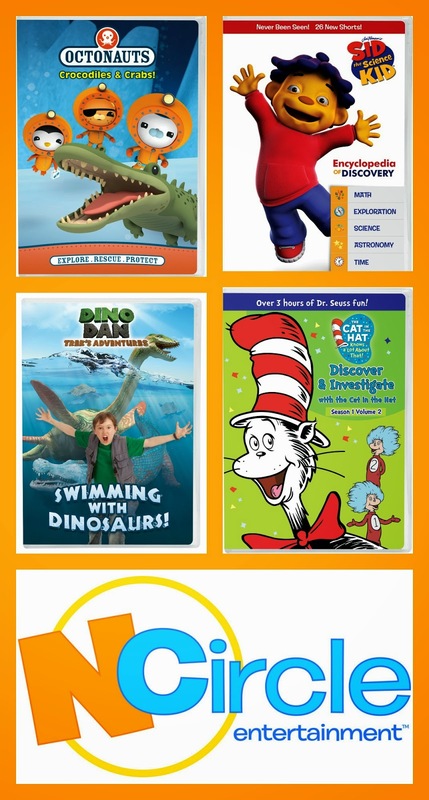 It is creative and the perfect show for any dinosaur enthusiast. Now it is time for the giveaway!! You have a chance to win a copy of each of these four DVDs from NCircle Entertainment. This giveaway is restricted to the United States and Canada for shipping and please follow all of my giveaway rules. To enter just follow the Rafflecopter. Good luck! !